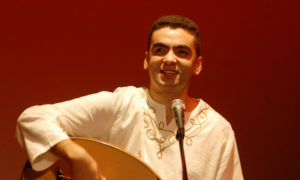 Mustafa Said is an Egyptian singer, musicologist, composer and a virtuoso Oud player. He currently lives in Beirut and is one of the few young talents to devote his career to the renaissance of the classical Arabic repertoire. Mustafa Said is currently the Director of the Arab Music Archiving and Research enterprise (AMAR) in Lebanon and was a former professor at the House of Oud in Cairo as well as an instructor in musicology at the Higher Institute of Music of the Antonin University in Lebanon. His approach to music steams from the already existent traditions in the eastern Mediterranean region namely on that of the golden age of Abbasid music, and that of the second half of the 19th century. 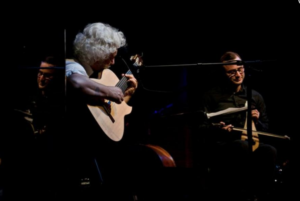 Inspired by the oriental traditional heritage, the compositions and forms of interpretation of Mustafa Said offer a very contemporary approach and place great emphasis on the instrumental and vocal improvisation (Taqsim). An exceptional duet of masters from Turkey, Erkan Oğur & Derya Turkan have not only succeeded in creating some records of unparalleled beauty (Fuad, Dokunmak) but indeed pushing the boundaries of musicality and sensibility to a new level. Erkan Oğur is a pioneer of fretless guitars, he invented the first fretless classical guitar in 1976. As composer and arranger, he is one of the most influential musician in Turkey combining the sounds of Turkish folk music and classical music in unique innovative ways. Derya Turkan is one of the leading exponents of Turkish Classical and Ottoman music today. His unique style on the kemençe and the mastery of the world of makam music, permit him adapt a traditional and classical instrument to a modern era through improvisations and very special interpretive skills.